In this blog post, you’ll learn about Blogger Outreach. This is the technique smart bloggers and marketers use a lot to instantly make their blogs popular. …Whether you need more eyeballs on your blog. …or you want to attract high-quality links. …or want to build a solid relationship with influencers in your industry. You need to master the art of Blogger Outreach. And here in this article, you are going to learn exactly the same. STEP. BY. STEP. 2. Why Should You Care About Blogger Outreach? Blogger outreach is a technique in which you reach out to bloggers, also called influencers, who have a substantial amount of audiences. As someone who owns an online business that needs traction and only a few people probably know about, having someone to promote your brand whose opinions your prospects already value, gives you a distinct advantage. Let’s admit it. It’ll take a while for you to make your prospects notice you, let alone that many other competitors are vying for their attention. Imagine for a moment that you are totally new in your niche. If you can connect with a blogger with a wide audience, you’ll be able to position your content in front of that crowd as well. Why Should You Care About Blogger Outreach? Here are reasons a blogger outreach campaign should be part of your overall marketing plan. 1. Get more eyeballs on your brand. As a blogger, you know that one of your greatest challenges is getting people to notice you. When a popular blogger promotes you, their audiences are given reasons to follow you. This leads to an instant growth in your audience base. 2. Build inbound links from authoritative blogs in your niche. If you’re all for boosting your SEO to rank higher on Google, you can generate more backlinks by reaching out to relevant influencers. It’s important that you filter through your list of prospects. Note that not all blogs are worth obtaining a link from. 3. Earn social shares to amplify your content. Some influencers are “just killing it” on social media. And it’s no secret that most customers are present on every platform we know of – Facebook, Twitter, Instagram, and more. Leverage the social networks of these bloggers to increase your blog traffic and natural backlinks. At the heart of every successful outreach strategy is a strong relationship that’s formed. This is a sustainable way to grow your brand rather than approaching your prospective blogger right off the bat. Perhaps the fear of rejection is also the very reason why many hesitate to put themselves in front of influential bloggers and lose opportunities to reach their goals. You see, blogger outreach doesn’t have to send you running for the hills. Progressively and steadily get yourself noticed. Before you know it, you establish a bond that lasts for many years to come. Follow these crucial steps to develop a blogger outreach strategy that works wonders for you. Here’s the first thing you need to do – look for the “perfect” influencer to become your brand advocate. There’s no point in targeting hundreds of bloggers whose audiences do not match yours. Compatibility is a major criterion. You should be able to easily complete the fields above. Note that some bloggers do not give out their email address and use a contact form instead. The simplest and most practical way for you to find influential bloggers is to do a Google search. Google shows the most relevant blogs based on your search query. Type into Google the term “top blogs” combined with your niche or topic. For example, if you’re in the fitness niche, use the query top blogs fitness or top fitness blogs. To refine your search, you’ll want to do away with broad keywords and use long-tail search terms instead. On social media, head over to the search bar and use relevant hashtags to help you find the ones that can promote your blog. Among all social platforms, many site owners consider Twitter to be the most convenient for discovering influential bloggers. Use the same process to find bloggers on other Facebook, Instagram, etc. Later, in this article, I’ll be sharing with you tools that will help you find more qualified prospects in an easier and faster way. Word of Advice: Don’t qualify your bloggers based solely on their number of followers. While a lot of influential bloggers have a huge following, a high follower count doesn’t always guarantee influence. Blogs with a higher domain authority score are more likely to rank in search results. Therefore, you can expect these blogs to have more traffic. Whether you have found a blog through social media (bio section of the blogger’s page) or organically (via Google search), check the blog’s DA score using MozBar. MozBar also tells you whether a blog allows dofollow links so that you benefit from the blog’s authority as well. Another important factor you should consider is the blogger’s content. Make sure to check the posts in terms of the kind of topics discussed, writing style, length, readability, and storytelling hook. Do the blogger’s pieces of content align with yours? Is it supported by visual elements such as videos, images, or infographics? The third plus factor that determines whether a blogger is a good fit is the engagement he or she is getting. Look not only for blog and social media likes and shares but also comments. Are they coming from real people? Did your influencer’s content win over their trust? No matter what an influencer is sharing, he or she will always be able to persuade those around him. So you’ve set your blogger outreach goals and created a list of prospects. Finally, it’s time to put yourself in front of them so they start noticing you. Now, don’t jump in and make that ultimate request just yet. Start with a subtle approach until you’re ready to make that big move – send an outreach email. Remember that you have to provide value first. You cannot take without giving and helping. What are ways to show value to your target influencers? Blog commenting is a winner. By commenting on active blogs, you spark interesting conversations that bloggers cannot help but notice. Avoid leaving generic comments such as “Great post, thanks for sharing” or comments that only repeat what has already been said in the content. The screenshot above shows a great comment that my blog post entitled, “25 Strategies To Generate Blog Post Ideas Today” received. What clearly made this comment stand out was the commenter’s effort to provide something of unique value. Insightful comments stand out because they’re original and helpful. Do you know what delights bloggers? It’s seeing posts that highlight them. They cannot resist noticing your post especially if it’s remarkable. Better yet, bring together all the bloggers on your list in one post and highlight their contributions to the industry. Choose a topic to focus on that your prospect bloggers have something to do with. The example above shows a popular post from Clambr.com I came across that features a list of link building tools prolific bloggers recommend. You too can write a similar one depending on your niche. Consistently sharing blog posts that have just been published by influencers is a very easy way to make them notice. A better way to do it would be to state exactly how this post helps readers and yourself. Include “@” so that the blogger gets notified of your tweet. Most people fail in this crucial step because their email pitches don’t address the “what’s in it for me” question that an influencer may ask. Before you compose your email, think about how the blogger can benefit from your outreach. This means that your email outreach has to be about them, not you. Influencers nowadays can easily detect that your email was automated or that you used template for all your recipients. I came across your blog post [URL] and found it extremely useful. You linked to a nice resource from your post [URL]. However, I’ve also written a similar topic and thought that you might want to link to it or share. Craft your email in a way that’s specific to your goal. If your goal is to be able to guest post on an influencer’s blog and contribute content, make your email about it. Want to earn shares or a backlink to your recent post? Create a script for each. Again, think what’s in it for them. Check out the sample emails below for different goals and why they work. I wanted to tell you that I’m an avid reader of your blog. Earlier today, I checked out your latest content [URL] and I totally agree with what you said about [AN IDEA WITHIN THE POST]. In fact, I shared your article with my readers. Anyway, I thought about a few relevant topics that would make a great follow-up to your post. Maybe you’d allow me to write a valuable content for you? Do you know why this email works? Because it shows that you’re genuinely interested in the influencer’s blog and care enough to contribute content that adds value to a previously published article. Moreover, you’re able to demonstrate your credibility through your samples. I wanted to drop by and thank you today for sharing your expertise on [ARTICLE TITLE]. That was a very practical resource. I didn’t imagine that [A STRATEGY IN THE ARTICLE] was ever possible especially now that [A CHALLENGE IN YOUR INDUSTRY]. I was inspired by your ideas and actually wrote an article that tackles a different angle to your post. I thought it might add more value. Notice that this blogger outreach email doesn’t follow an obvious, all too common pattern but is rather personalized. This message doesn’t only mention the article that made you reach out but also pinpoints something interesting within the article. It shows appreciation and again, seeks to help, before asking a favor. I just wanted to drop by for a quick hello and say that I’m a regular reader of your blog. While I was looking through your blog posts today, I came across your resource page on [TOPIC]. Your advice definitely helps me deal with my difficulty on [A CHALLENGE RELATED TO THE TOPIC]. I would love to get your feedback. Also it might make a great addition to your resource page. You might consider linking to my resource. I’m confident your readers will love it because [REASON]. If not, then I appreciate you taking the time to read this. Thanks again for your practical ideas. Keep up the great work! 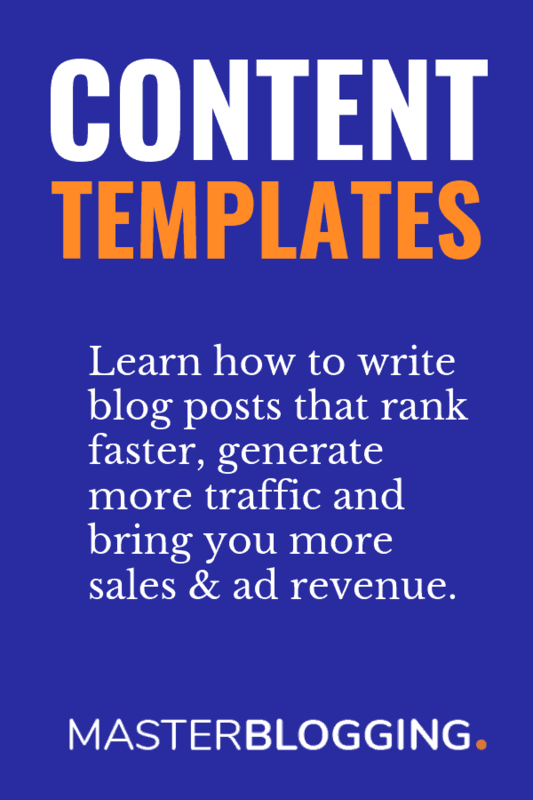 Obviously, you don’t need to copy these templates when reaching out to bloggers. This is why it’s more than important to learn what you can about your prospect influencers before you pitch your personalized request. Show genuine interest in their blog. Identify a post that made the most impact on you. Be as helpful as possible. Again, the trick is to make it all about your influencer. Not all bloggers will respond to your outreach email efforts which is why you should follow up on your pitch. There’s no reason to shiver at the idea if you provided value. Following up after 72 hours increases your response rates. Continue your efforts to share and comment on an influential blogger’s posts. Work hard for their attention. Who knows, one day they’ll show an interest to work with you. In this section, I’ve outlined my highly recommended tools to fuel your outreach. These will save you time and effort and most of all get you better results. Finding thousands of bloggers to work with and sending out effective outreach emails have never been more easy with Ninja Outreach. All it takes is a simple keyword research. Type into the tool’s search bar your niche or topic. You will get a long list of prospects along with their descriptions, contact information, website metrics, and social shares for every social network. Choose from this list and send them outreach emails that you can track to monitor results. Instead of manually finding influencers, Tomoson is another outreach tool that automates the process for you. Specifically, Tomoson’s Content Crawler discovers blogs, influencers, and micro-influencers. What makes Tomoson different is that it already has a built-in community of influencers you can easily tap into. Also, these influencers have price ranges so you can immediately decide which one fits your budget. I like BuzzStream since it focuses on helping you build relationships with influencers because of its email functionalities. You can monitor all the conversations you have with bloggers and even track your clicks and responses. But before that, use BuzzStream’s prospecting feature to automatically get a list of prospects based on your queries. You can even choose individual websites yourself and BuzzStream looks for their contact details and bylines for an easier outreach. Blacklist sites you want to exclude. Send out emails in bulk or individually for a personalized approach. Now that you learned all about blogger outreach, it’s high time you start finding the right bloggers and establishing a rapport with them. Regardless of your outreach goals, never forget that you’re dealing with a human, so you must treat a prospective influencer as such. You see, blogger outreach holds a lot of potential for you. By leveraging the influence bloggers have on their audience, you raise awareness for your content, build links, and even land a guest post placement. I know that most bloggers hesitate when it comes to sending outreach emails. Take the risk and just keep in mind to offer something of value. Soon enough, you’ll be that popular blogger that everyone loves. I’ll be more than happy if you reach out to me with a different template. Great, I have read the first article on this topic. I am planning to do something in upcoming days and these tips will really help me to do things in right way. This post is realy helpful for me.. thanks for sharing this post. Nice One, I wish me and you can also reach each other. Also one thing you surely need is a planner or a kind of excel sheet where we can add and track the activities.Truly appreciate your article. Glad you found the article useful. One thing I would say, try to focus on “what’s in it for them” part. You’ll definitely get good results from your outreach campaigns. I have gained links from top blogs and I must say Blogger Outreach actually works. You just need to be creative. Hope from now onwards you’ll get good results. Outreach is art, more you explore in better way, more you get the positive results. This article is really helpful for bloggers outreach. Thank you so much Ankit Singla for this awesome article. The information “Blogger Outreach” you have posted is very useful. I recently found many useful information on your website especially this blog page. Among the lots of comments on your articles. Now, this my Bookmarked website bloggertipstricks. Keep sharing and keep up the good work. Thanks for the deep insight, I am a newbie in this field and your posts are really helping me to understand the know-how of digital world. Thanks a ton for it. Great and very informative post. Blogger outreach is definitely a great way to connect with fellow bloggers and build your authority online. Guest posting and Blog commenting is one of the best ways to connect with bloggers in your niche. I always prefer to share others posts if I find them useful for my blog readers and it also added some value to my content. Thanks for sharing these great tips and insights here. I started building my relations with expert bloggers with Blog commenting only. It is a great relationship building tool I must say. And yes, sharing others’ post is also a great way to get noticed. Sooner or later, they will also want to share your content. At last, keep outreaching for building good connections. Glad, I could help, Varsha. I want to know is the paid facebook likes are worth to buy are not? If you are getting targeted likes, it’s good. You have written a nice post and yes, the outreach is the trending link building way. I follow the tips that you have mentioned on the list but didn’t get the reply from most of the bloggers. I think I have to use the better format like you have provided. Thanks for the templates, much appreciated. As more and more bloggers started using the same template, it has become so tough to get replies from influencers. But still, something is better than nothing. Out of 10 emails you send, if you get 1 backlink, it is still worth. Excellent post.This post is really helpful for me. thanks for sharing this post. Hi Ankit, This is the super collection of ideas. I’m a permanent reader of your blog. You always share great SEO techniques. I will step by step follow your guide, i hope i can improve my website ranking through building high quality back-links to crack the google’s fist page in my niche. Hundreds of Thanks for sharing these great techniques. I’m always looking at your blog for new posts to get new ideas from it. Awesome offer ! I am likewise searching for such success blogger outreach layout for long time, finally got it confidently. Will utilize it in a similar way and points before a mail to bloggers. Keep sharing ! Keep visiting !! Hi Ankit this I a very nice post which I would save and go through several times a day. It really discusses at length about blogger outreach. The template messages were stunning and give ideas on how best to craft a good email that will help get influencers. It’s a post with a lot of useful resources in it. Thanks for sharing it. It’s well-explained article, which is going to very helpful for newbie bloggers. Thanks a lot Ankit for this amazing post. I got to learn many things and especially the email templates (loved that). A small tips from my side to your readers which I use. Use Buzzsumo Tool and find popular blog posts of your targetted keyword. It will show you the blog posts with most share counts. It will help to gain social shares as well as links by using your given template. Hi Ankit, awesome helpful article, I will definitely try these methods, I know SEO is a vast subject to follow but your mindblowing articles give me lots of fuel to do something special.